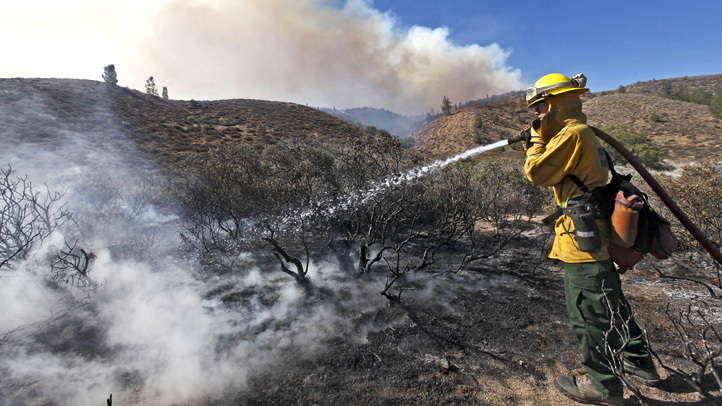 Children playing with fireworks ignited a quarter-acre vegetation fire today in Bel-Air Estates, authorities said. Firefighters dispatched at 5:02 p.m. to 2119 Queensborough Lane doused the blaze in 22 minutes, according to Brian Humphrey of the Los Angeles Fire Department. No injuries were reported and no structures were threatened, Humphrey said.